Norway’s second city was the home of kings in the Middle Ages and a trading post for the Hanseatic League. A remnant from that era is Bryggen, a photogenic quayside district of painted wooden houses with triangular gables. Bergen’s city centre is watched by an arc of seven mountains capped with snow for much of the year. And two, Fløyen and Mount Ulriken have a funicular or cable car waiting to lift you to the summit. From there you can scramble over rocky trails with constant view of Bergen and its fjords. And on that subject, the Hardangerfjord is a landscape that hardly looks real until you’re in it. A comfortable day trip destination from Bergen, the fjord is hemmed by formidable walls of rock that descend to bucolic little villages and orchards. 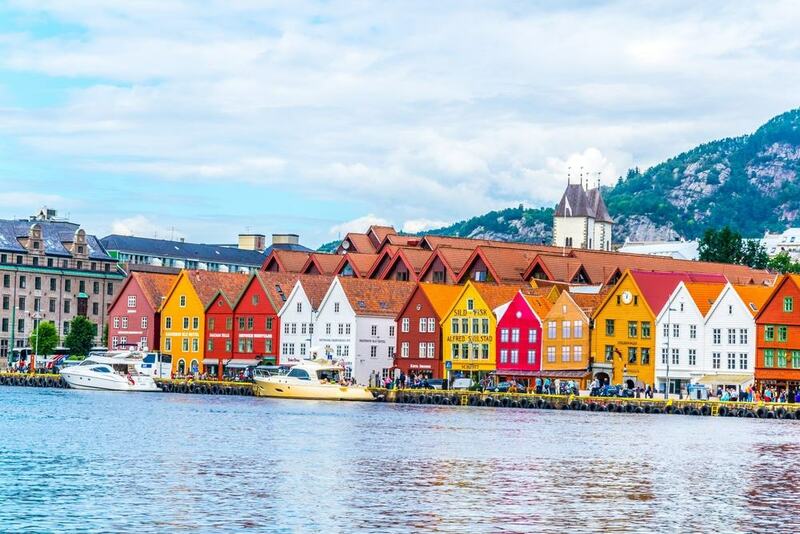 The row of slender wooden houses painted in yellow, ochre and red on the eastern quayside in the Vågen bay is one of Bergen’s enduring images. Bryggen is also a UNESCO World Heritage Site, and these edifices would once have been warehouses, holding cereal from Europe and stockfish caught further north. The passages between the storefronts hint at of how Bergen might have looked in Medieval times. The city was born around this waterside community almost a millennium ago, and in the mid-14th-century Bryggen became a “Kontor”, a foreign trading post for the Hanseatic League, which had a presence across the whole of northern Europe at this time. The architecture here now is from after a fire in 1702, but when these houses were rebuilt the same centuries old foundations were used.